Thanks! I need to do some work on the shawl today. I'm sooooo close to finishing....and started a new project that I've been working on the past 2 days. I really need to focus and get this shawl done! 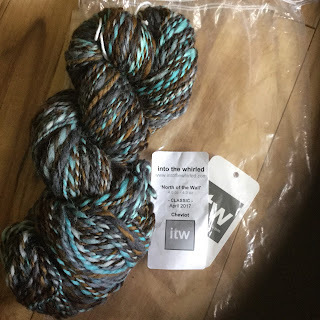 Oh I love the handspun, do you have plans for it? Love the idea of the elf cap and the shawl is gorgeous. Thanks! I'm a newer spinner so I've never actually knit any of my yarn yet. I'm thinking maybe a shawl for Herding Cats. Yes, for the KAL we have each contributed one skein and exchange yarns monthly. So we will all have the same colors in our hats, but they will appear in a different order in each person's hat. What an interesting KAL you're participating in. Your handspuns are cool. I love the green and teal in the first one. 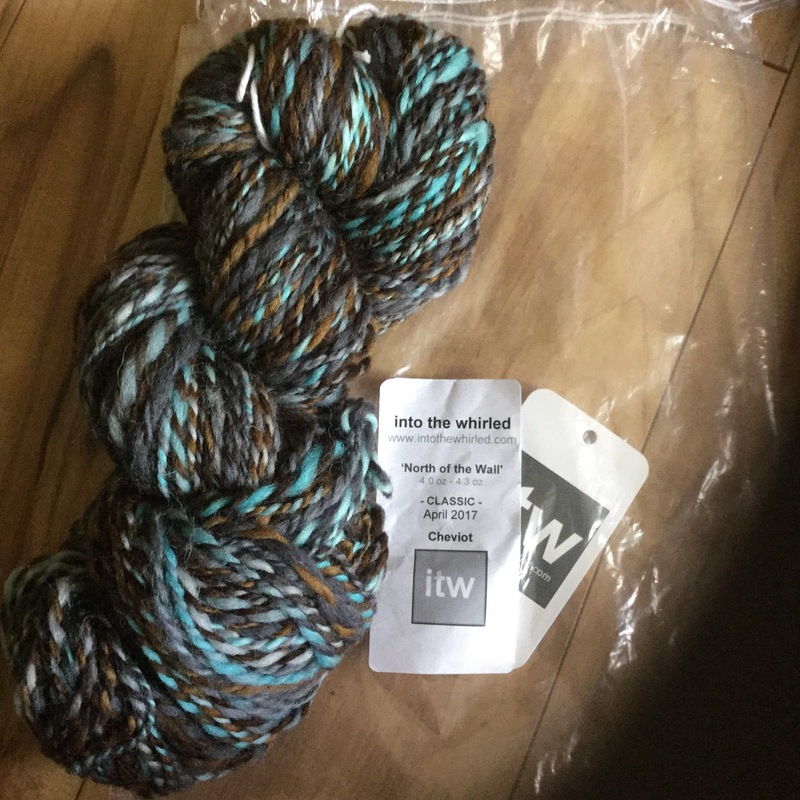 The aqua for your shawl is lovely. Your stitches are so neat. Thanks! The KAL has been a lot of fun. I love the colors of the handspuns too. I'm part of a fiber club and those were the shipments for March and April. Love the shawl and I had just seen those elf hats and they are on my list for some gifts...so cute! They look like fun too. I'm loving the hat pattern. My daughter has asked for one, so I'll be doing another for her soon. Being away from home I am missing my spinning wheel. Hmmm....maybe I can find one on the little island to borrow! i hope you can find one! I'm a newer spinner, but have been putting a lot of time in with Tour de Fleece. I Just got this wheel in January and I'm loving it! 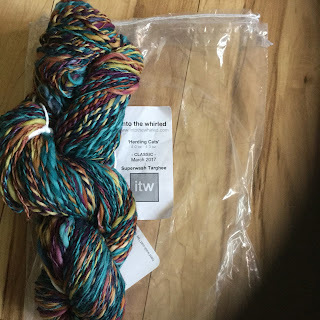 Your spun yarn looks so pretty! 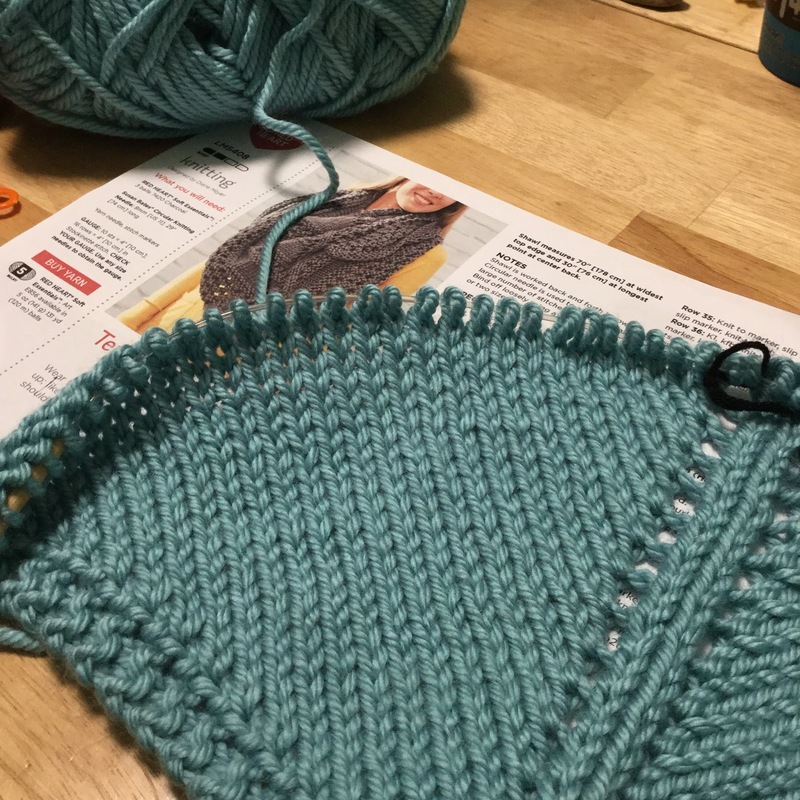 What fun that will be to knit with. 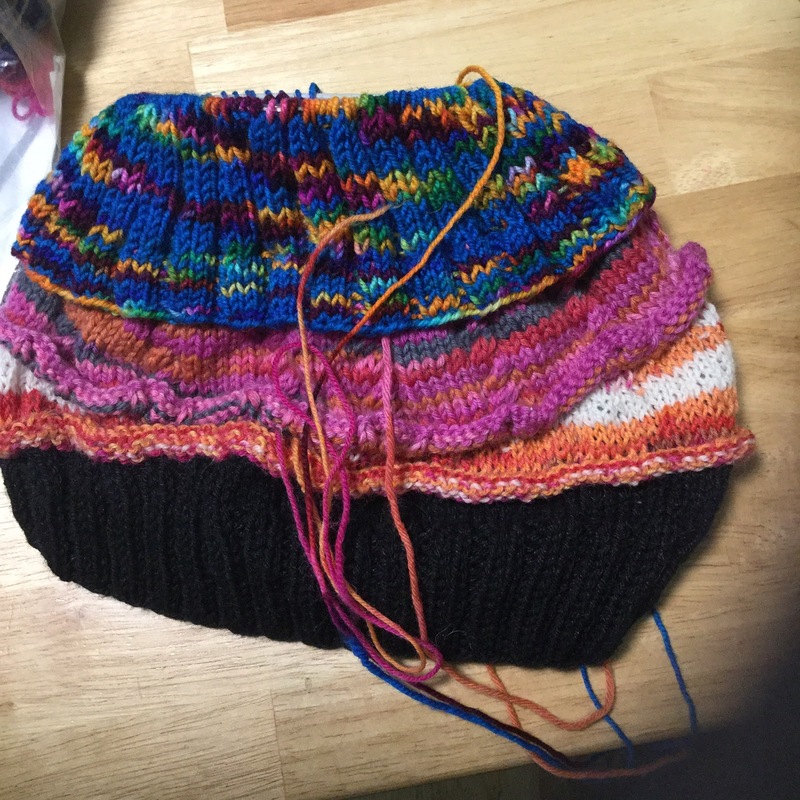 I love the sound of your ELF Cap KAL - changing yarns each month. And I look forward to seeing your finished Textured Shawl. The blue-green is so pretty. I'm a new spinner, so haven't knit with any handspun yet. I'm looking forward to it.the ELF cap KAL has been a lot of fun! What a pretty shawl. Like those colors in the elf hat. Another spinner for me to be envious of lol.